All cruise lines offer wine tasting seminars, but did you know that if you cruise aboard Holland America’s new Koningsdam, guests are given the opportunity to become winemakers! That’s right, you can blend your own wine at the only purpose-built wine-blending venue at sea! Koningsdam will feature a new venue called BLEND – an intimate wine tasting setting that will host up to 10 guests at a time. The program will operate in collaboration with Chateau Ste. Michelle, the oldest winery in Washington State. 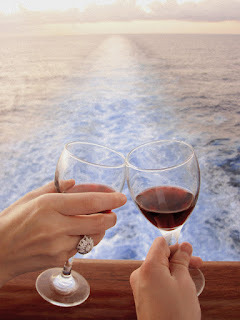 The ship’s wine expert will lead participants in a blending session to create their own blend of red wine from a selection of five single-vineyard Chateau St. Michelle wines. The experience begins with viewing a welcome video by Bob Bertheau, Chateau Ste. Michelle’s winemaker. 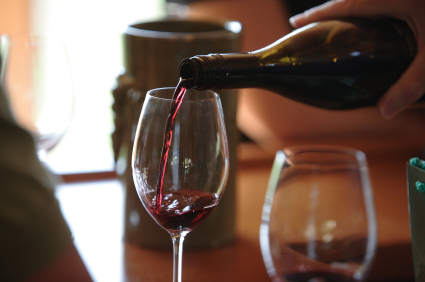 The group will learn about the history of Washington wines and winemaking, discover how different vineyard sites influence the flavors and style of wine. Lastly, everyone finishes up by bottling their custom wine blend and creating their own label. The finished creation will be delivered to the dining room or other shipboard restaurant for the guest to enjoy with dinner. What Can a Butler Do For You On Your Next Cruise?